The Wash Day Experience is 1! This link-up has been amazing. I got introduced to blogs I may not otherwise have found. (Almost) every week I get to be part of a community of ladies with hair of every kind; long, short, natural, relaxed, transitioning- who do everything from a water-only regimen (yep. Absolutely nothing else) to inversions to using jell-o in their hair! (protein treatment). Everyone is so sweet and supportive. Picture bubbles and sparkles all over the place. It also put my blog out there and my views went up up. Shout out to KLP of savingourstrands.com who created this and to Jen of justgrowalready.com Congrats you guys. It was week 4, so it was time to shampoo. I had to do a hot oil treatment a few days after my last naughty protein treatment that left my hair a bit dry. 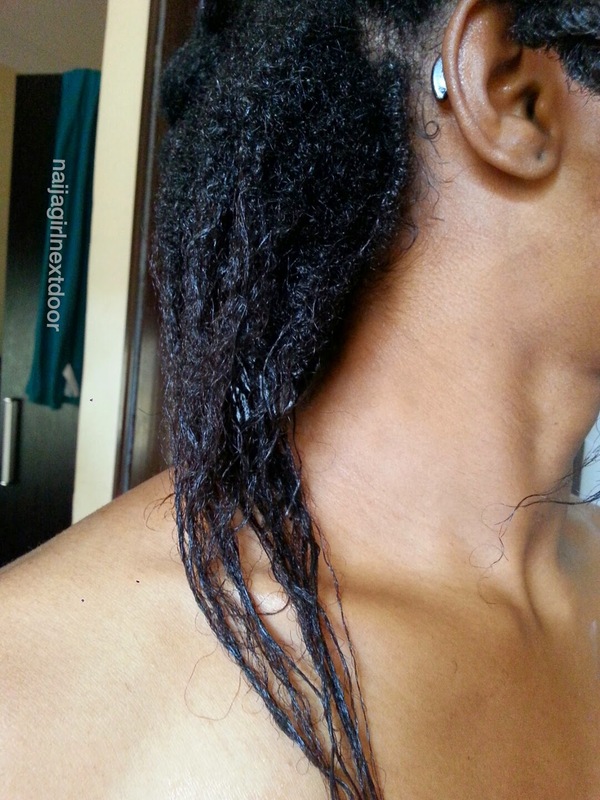 Hot oil treatment- I warmed up extra virgin olive oil over hot water and put it in my hair in sections, then twisted up each section afterward. 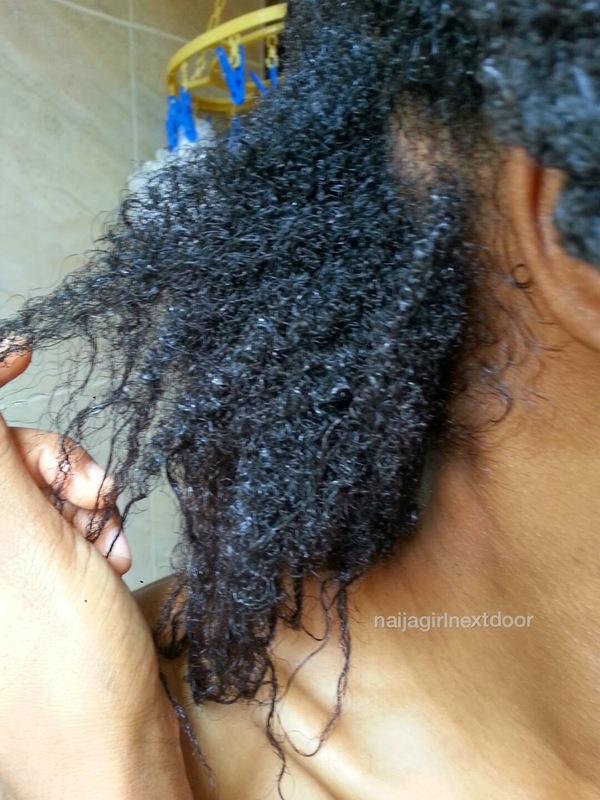 Washed with African Naturalistas shampoo, conditioned with African Naturalistas Moisturising and Detangling Conditioner. It's actually an instant conditioner as par the instructions, but I used it as a dc for almost an hour and it clearly wasn't meant for that purpose, so it's my own fault my hair didn't get that freshly dc'd feel. Leave in- my usual. Shea Moisture Restorative conditioner, sealed with my oil mix. My SOS style has become to just pin both sides down. I'd fuss a lot and then do this, and it finally looks like I'm getting somewhere. It works on just about any length of hair so you should try it on one of your struggle hair days. Make the back into a big flat twist and tuck the end under. Even with my hair missing the dc effect I liked that it looked right and full of health so no complaints. I got some compliments, always good for the soul ya know. I like your go-to style. 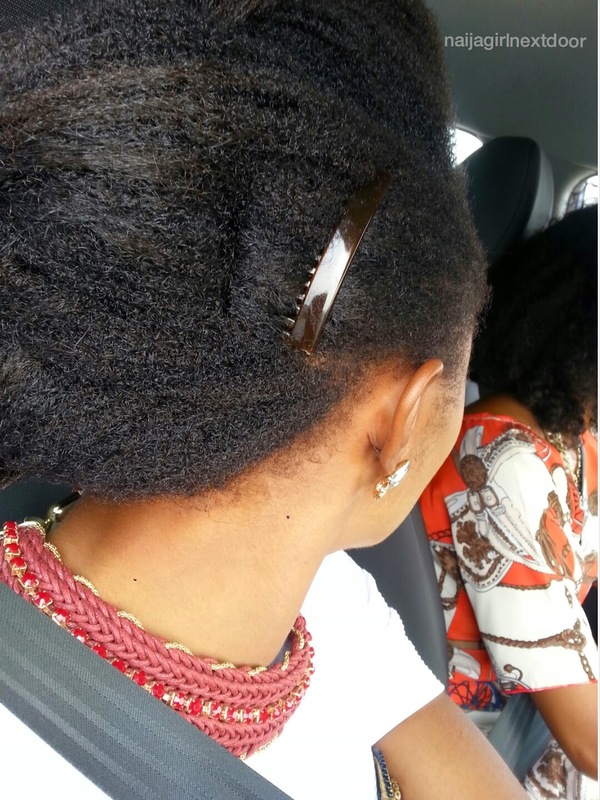 How are the African Naturalistas products? Is the shampoo sulfate-free? See the cute baby hairs behind your ears..
Babe your hair has grown o! You're making the transition look easy! I saw them too after taking the pictures! I was like "ah ahn. Hello there"
I want to join this link up badly but the way my wash days are set up, it wont work out well. Your hair looks amazing. I wish that my hair would be as good as yours when it is that long. 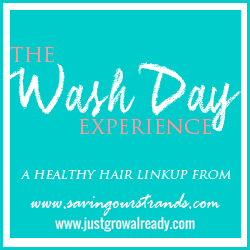 How can I join the wash day experience journey? 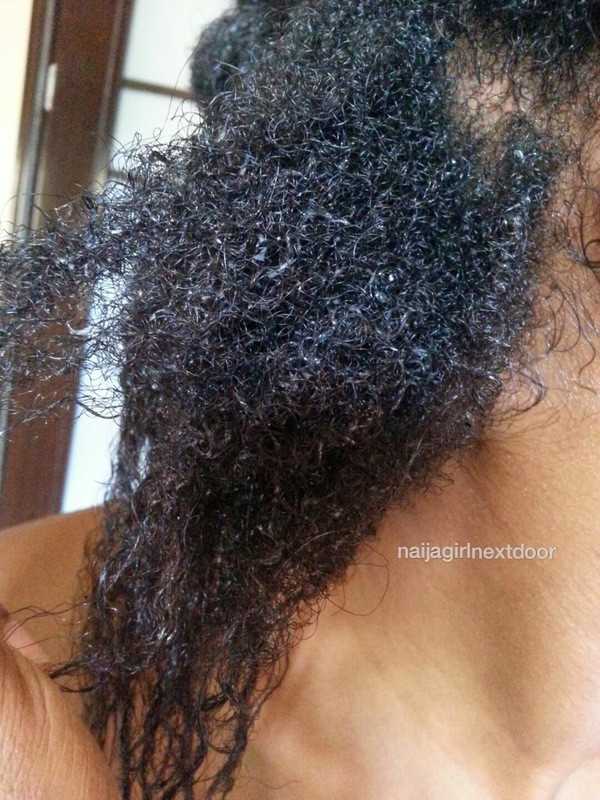 I have been washing my hair weekly for the past 12 weeks and I have been too lazy to write on it, the wash day experience might spur me to write more. love ur hair! but wait- is dat a necklace or its part of the top? where did u geeeet itttt! i waaaaant! 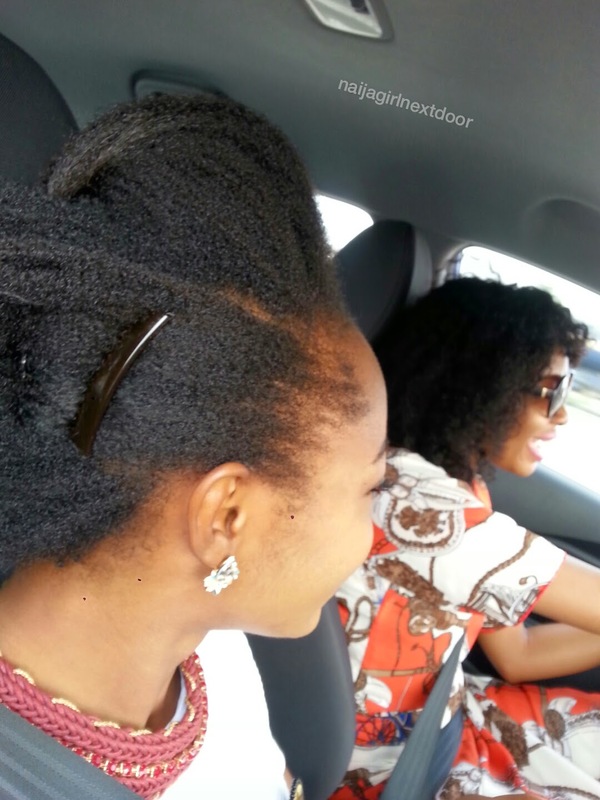 Your hair texture is gorgeous! How long do you want to transition before you chop? Thanks for sharing your #washdayexperience chica! 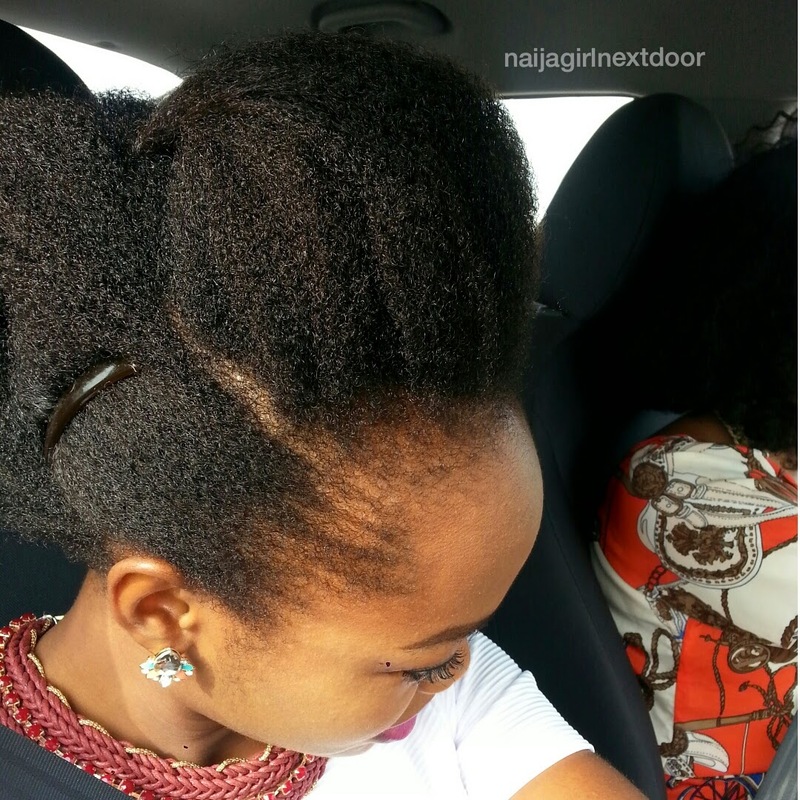 Nigerian hair, Trying to live that chemical-free life, Chasing good food. Me lately: 5 Loves and a life decision.